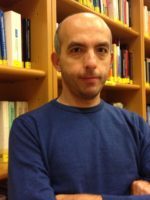 Massimo Fichera is Academy of Finland Research Fellow and Adjunct Professor in EU Law at the Faculty of Law, University of Helsinki. He was previously, in the same University, Lecturer in European Studies at the Network for European Studies, and Post-Doctoral Fellow at the Faculty of Law, University of Helsinki. His interests lie in constitutional theory, European Union Law and the interaction between European Union Law and International Law. Before joining the University of Helsinki, he completed his PhD at the University of Edinburgh and carried out research during his internships in several international organizations, including the European Commission and the United Nations. He holds a degree in Law (University of Messina) and a Master in International Affairs (ISPI, Milan) and qualified as Avvocato in Italy. He has been Visiting Research Fellow at the Universities of Lund and Edinburgh and at the European University Institute and has produced policy papers and consultancy work for a number of institutions, such as the European Commission. His latest monograph is “The Foundations of the European Union as a Polity” (Edward Elgar). The Foundations of the European Union as a Polity. The overall purpose of this project is to reconsider the foundations of the European Union (EU) as a polity. The EU is normally configured as an internal market with an essentially economic core. From this perspective, the traditional narrative depicts the liberal project of European integration as the gradual and progressive development from an economic community, in which fundamental rights are absent, to a fully fledged organization or polity, which is "founded on the values of respect for human dignity, freedom, democracy, equality, the rule of law and respect for human rights (...). According to this narrative, the European Community/EU, whose original spirit is that of preventing the return of war among European countries, would have finally emerged as an "enlightened" human rights regime, thanks to the initiative of a few outstanding political leaders and the relentless activity of the Court of Justice of the European Union (ECJ). The culmination of this development would be the achievement of an "area of freedom, security and justice" (AFSJ), which is, in the words of the Treaty of Lisbon, "offered" by the EU to its citizens. The proposed project aims to question this received narrative and argue instead that, right at the core of the EU, security and fundamental rights operate as self-justifying discourses of power, and therefore in terms of empowerment both of the EU citizen and of the EU as a collective entity. Power is here interpreted as impersonal, diffuse, anonymous and all-inclusive. Yet, there are relevant contradictions in the interaction between these discourses, because the EU citizen cannot be empowered without at the same time being dis-empowered. Europe as an AFSJ constitutes and justifies itself as a polity through a multidimensional vision of security, which merges with fundamental rights. The project’s claim is that the history of Europe as a polity is marked by the discourses mentioned above much more than may appear at first sight. They appear formally as universalistic discourses, but in fact operate along an ambiguous, nuanced inside/outside dichotomy. In reality, what ultimately emerges is the imperialistic dimension of security and fundamental rights. The EU liberal project of integration employs them to justify its own existence and deny conflict. The reality is that conflict cannot be denied and, on the contrary, it is constitutive of the relationship both between the EU and its Member States and between the EU and the rest of the world.